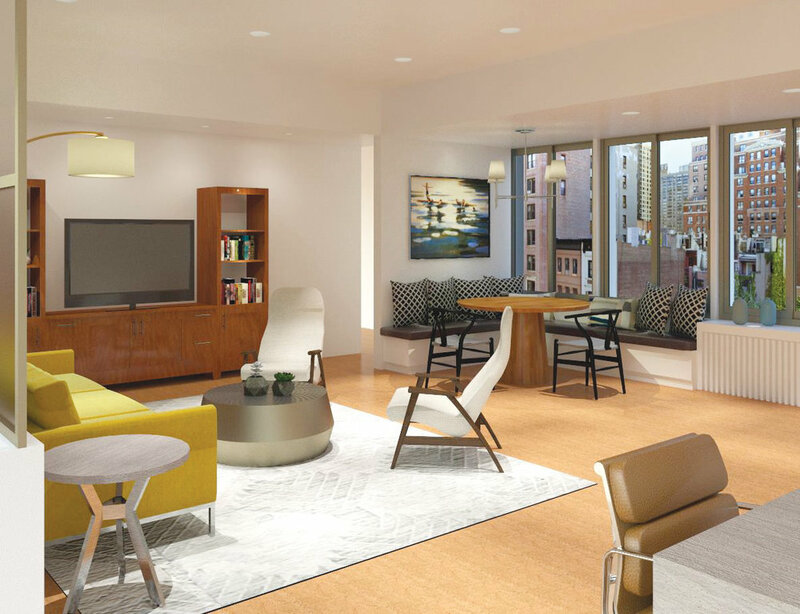 Eric Cohen, AIA, Senior Associate Principal at Ethelind Coblin Architect, is his firm’s in-house expert on Universal Design and has worked extensively on contract and residential interiors for seniors. He is a member of the American Institute of Architect’s Design for Aging committee, and with this group, has contributed to NYC’s Aging in Place Guide for Building Owners. He has taught and participated in multiple courses at NYSID, and is currently teaching the MFA-2 Thesis course, for which he was originally a mentor. In his classroom and practice, the fields of psychology and interior design are interwoven. Can you tell me a bit about your design work for LGBTQ Seniors? In 2012, our firm was hired to design the Eddie Winsor Sage Center, on 7th Avenue in New York City. In addition to the design of offices to house SAGE’s National LGBTQ Resource Center, we designed a community center to provide entertainment, food service, counseling, and housing/financial/health-wellness services to LGBTQ elders and their caregivers. 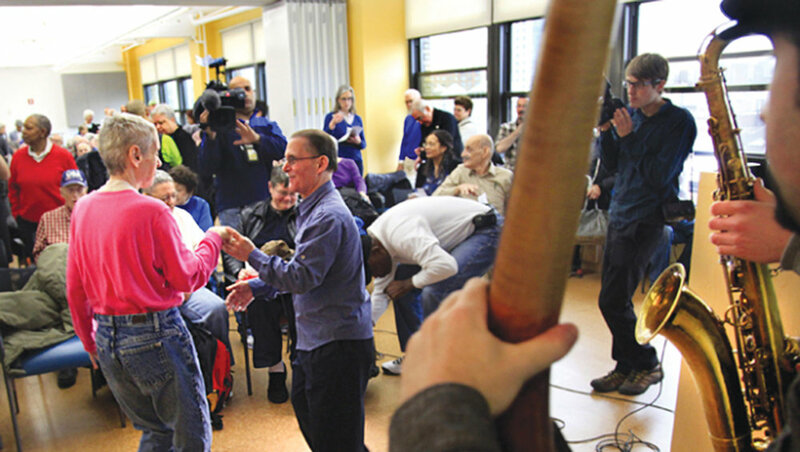 This project was part of the New York City Department of Aging’s program to build innovative senior centers. What aspects of your design were intended to address the needs of LGBTQ seniors? Early LGBTQ gathering spaces were started by small civil rights groups with restricted budgets, and those groups needed to create spaces with protection and privacy built in. Our client wanted to create a center that messaged pride and openness. They also wanted our design to address the diversity of the LGBTQ community. We accomplished this with a flexible and open plan that clearly identifies public and private areas with the use of color, wall geometry and transparency, and with defined paths to private areas. Members of the age 55-plus gay, lesbian and transgender community have been fighting for their rights their whole lives. For the most part, they are out and proud, but most have experienced discrimination and rejection at some time. So we designed a welcoming reception area with an accessible desk and flat screen showing daily activities, visually open to the neighborhood beyond and to the activities within. This point was to give constituents an instant sense of what’s happening inside; to allow users to pause and make a choice about what they want to join. We were servicing many different groups within the LGBTQ community: older professionals, low-income people, retirees looking for purpose, so the ability for users to access their own territories within a larger space, and to seek out private spaces without feeling a sense of stigma, was essential. What was the coolest detail of that project? The Cyber Café allows for broad, intergenerational participation. 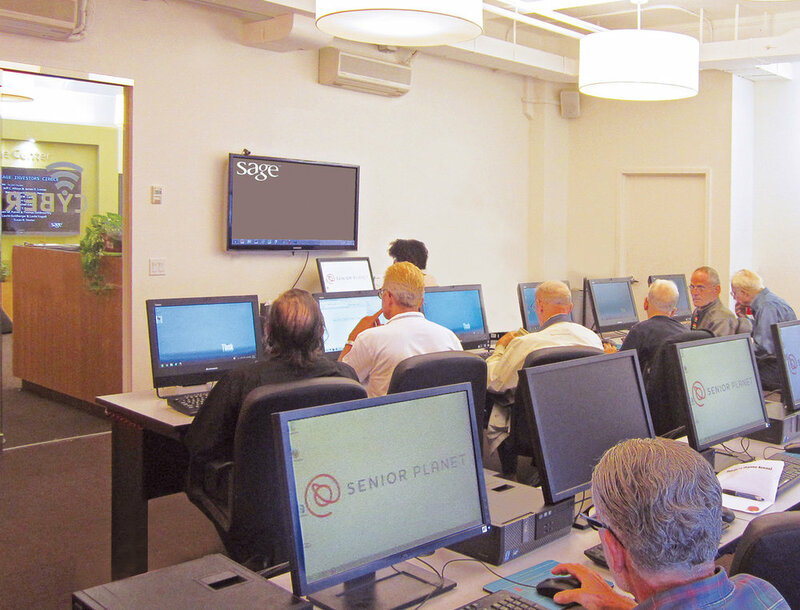 It’s a place for seniors to gain skills and find purpose. We included an induction loop system, a copper wire that goes around the perimeter and uses a magnetic field to transmit to hearing aids. It reduces the experience of background noise. Can you tell us about the Owl’s Nest curriculum you wrote that has become a mainstay of the MFA-1 program? There’s a trend, which started in Europe, toward seniors living together as roommates in like-minded groups. Building codes in the US are evolving to allow for this. We’re talking about self-governed communities in the tradition of—this reference makes me chuckle—The Golden Girls. There’s even a wonderful French movie about it called All Together. It’s a way seniors are solving the problem of isolation. The Owl’s Nest curriculum challenges students to create a design for a cooperative community of elders organized around a common passion, music, for example. It also inspires students to share prejudices and experiences with aging across cultures. Students have to apply their knowledge of residential and contract design. They learn the practical details of designing for elders, such as the interactive effects of color and contrast, lighting, temperature, texture, and spatial organization on balance and perception. They also learn that design for elders can be beautiful and modern. For example, I sometimes use an adaptation of the Marcel Breuer tubular steel chair because of its seat height/depth, arms, and lack of leg obstruction, which makes it perfect for those with mobility issues. One size, however, does not fit all, and I show examples of furnishing variations that work for users with specific needs. How do you teach students to use research in their designs? There are multiple levels of research in design. There’s research that comes from publications, with a rigorous structure that assures reliability. But there are also more casual ways of understanding one’s client that come from interviews, and I work with students to help them structure this. Another method that’s useful is simple observation. I teach students to sit quietly on the outskirts of a space and watch how it’s used, under-used, or perhaps used in unintended ways. How is Universal Design evolving? There are no codes for Universal Design in the way there are codes for Accessible Design. Universal Design is not a prescribed list of things to do. Some of the related but not identical buzzwords in the field are “Inclusive Design” and “Visitability” (a quality of residential spaces that makes them welcoming for people with disabilities). Universal Design is a way of thinking about the many things in an environment based on an understanding of the user. It requires you to notice how people live.